Draft: 2003, Cleveland Indians, 16th rd. Michael Wacha out on a sacrifice bunt, pitcher Aaron Laffey to second baseman DJ LeMahieu. 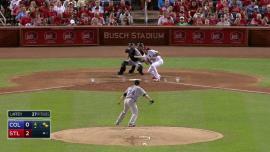 Yadier Molina to 3rd. Randal Grichuk to 2nd. June 7, 2018 LHP Aaron Laffey retired. May 25, 2018 LHP Aaron Laffey assigned to Las Vegas 51s. May 23, 2018 New York Mets signed free agent LHP Aaron Laffey to a minor league contract. April 6, 2018 Acereros del Norte released LHP Aaron Laffey. March 21, 2018 Acereros del Norte activated LHP Aaron Laffey. February 22, 2018 Acereros del Norte signed free agent LHP Aaron Laffey. November 6, 2017 LHP Aaron Laffey elected free agency. September 2, 2017 Reno Aces activated LHP Aaron Laffey from the 7-day disabled list. August 21, 2017 Reno Aces placed LHP Aaron Laffey on the 7-day disabled list. Left hamstring injury. August 20, 2017 Reno Aces activated LHP Aaron Laffey from the 7-day disabled list. August 4, 2017 Reno Aces placed LHP Aaron Laffey on the 7-day disabled list. Left hamstring injury. May 15, 2017 LHP Aaron Laffey assigned to Reno Aces from Arizona Diamondbacks. 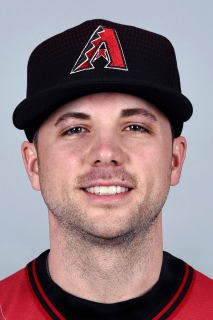 May 15, 2017 LHP Aaron Laffey assigned to Arizona Diamondbacks. November 7, 2016 LHP Aaron Laffey elected free agency. December 30, 2015 LHP Aaron Laffey assigned to Syracuse Chiefs. 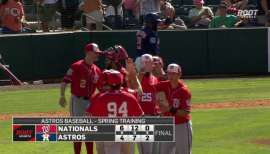 December 18, 2015 Washington Nationals signed free agent LHP Aaron Laffey to a minor league contract and invited him to spring training. October 14, 2015 LHP Aaron Laffey elected free agency. August 4, 2015 Colorado Rockies sent LHP Aaron Laffey outright to Albuquerque Isotopes. August 1, 2015 Colorado Rockies designated LHP Aaron Laffey for assignment. July 28, 2015 Colorado Rockies selected the contract of LHP Aaron Laffey from Albuquerque Isotopes. 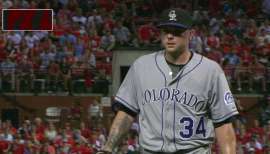 July 13, 2015 Colorado Rockies sent LHP Aaron Laffey outright to Albuquerque Isotopes. July 11, 2015 Colorado Rockies designated LHP Aaron Laffey for assignment. July 10, 2015 Colorado Rockies selected the contract of LHP Aaron Laffey from Albuquerque Isotopes. May 14, 2015 Albuquerque Isotopes activated LHP Aaron Laffey from the temporarily inactive list. May 11, 2015 Albuquerque Isotopes placed LHP Aaron Laffey on the temporarily inactive list. November 19, 2014 Colorado Rockies signed free agent LHP Aaron Laffey to a minor league contract and invited him to spring training. November 19, 2014 LHP Aaron Laffey assigned to Albuquerque Isotopes. June 29, 2014 Syracuse Chiefs placed LHP Aaron Laffey on the temporarily inactive list. June 29, 2014 Syracuse Chiefs activated LHP Aaron Laffey from the temporarily inactive list. June 24, 2014 Syracuse Chiefs placed LHP Aaron Laffey on the temporarily inactive list. April 15, 2014 LHP Aaron Laffey assigned to Syracuse Chiefs. March 29, 2014 Washington Nationals signed free agent LHP Aaron Laffey to a minor league contract. March 24, 2014 Baltimore Orioles released LHP Aaron Laffey. January 23, 2014 Baltimore Orioles signed free agent LHP Aaron Laffey to a minor league contract. November 4, 2013 LHP Aaron Laffey elected free agency. July 11, 2013 Milwaukee Brewers signed free agent LHP Aaron Laffey to a minor league contract. July 11, 2013 LHP Aaron Laffey assigned to Nashville Sounds. July 2, 2013 Albuquerque Isotopes released LHP Aaron Laffey. May 2, 2013 LHP Aaron Laffey assigned to Albuquerque Isotopes. April 30, 2013 Los Angeles Dodgers signed free agent LHP Aaron Laffey to a minor league contract. April 30, 2013 LHP Aaron Laffey elected free agency. April 29, 2013 Toronto Blue Jays sent Aaron Laffey outright to Buffalo Bisons. April 27, 2013 Toronto Blue Jays designated Aaron Laffey for assignment. April 24, 2013 Toronto Blue Jays activated LHP Aaron Laffey. April 23, 2013 Toronto Blue Jays claimed LHP Aaron Laffey off waivers from New York Mets. April 21, 2013 New York Mets designated Aaron Laffey for assignment. April 7, 2013 New York Mets selected the contract of LHP Aaron Laffey from Las Vegas 51s. December 27, 2012 New York Mets signed free agent LHP Aaron Laffey to a minor league contract and invited him to spring training. October 4, 2012 Toronto Blue Jays sent Aaron Laffey outright to Buffalo Bisons. June 12, 2012 Toronto Blue Jays recalled Aaron Laffey from Las Vegas 51s. May 31, 2012 Toronto Blue Jays optioned Aaron Laffey to Las Vegas 51s. May 28, 2012 Toronto Blue Jays recalled Aaron Laffey from Las Vegas 51s. April 15, 2012 Toronto Blue Jays optioned Aaron Laffey to Las Vegas 51s. April 9, 2012 Toronto Blue Jays selected the contract of Aaron Laffey from Las Vegas 51s. April 3, 2012 Aaron Laffey assigned to Las Vegas 51s. December 31, 2011 Toronto Blue Jays signed free agent LHP Aaron Laffey to a minor league contract and invited him to spring training. December 12, 2011 LHP Aaron Laffey elected free agency. October 11, 2011 Kansas City Royals claimed LHP Aaron Laffey off waivers from New York Yankees. October 7, 2011 Aaron Laffey roster status changed by New York Yankees. September 30, 2011 New York Yankees reassigned LHP Aaron Laffey to the minor leagues. September 2, 2011 New York Yankees recalled LHP Aaron Laffey from Scranton/Wilkes-Barre Yankees. August 24, 2011 New York Yankees optioned Aaron Laffey to Scranton/Wilkes-Barre Yankees. August 21, 2011 New York Yankees designated Aaron Laffey for assignment. August 20, 2011 Aaron Laffey assigned to New York Yankees. August 19, 2011 New York Yankees claimed LHP Aaron Laffey off waivers from Seattle Mariners. August 17, 2011 Seattle Mariners designated Aaron Laffey for assignment. August 1, 2011 Seattle Mariners recalled LHP Aaron Laffey from Tacoma Rainiers. July 30, 2011 Seattle Mariners optioned Aaron Laffey to Tacoma Rainiers. March 2, 2011 Cleveland Indians Traded LHP Aaron Laffey to Seattle Mariners and Jackson Generals Traded 2B Matt Lawson to Akron Aeros. September 18, 2010 Cleveland Indians recalled Aaron Laffey from Columbus Clippers. August 31, 2010 Cleveland Indians optioned Aaron Laffey to Columbus Clippers. August 24, 2010 Akron Aeros sent LHP Aaron Laffey on a rehab assignment to Columbus Clippers. August 21, 2010 Aaron Laffey assigned to Akron Aeros. August 16, 2010 sent LHP Aaron Laffey on a rehab assignment to Lake County Captains. July 23, 2010 Aaron Laffey roster status changed by Cleveland Indians. June 25, 2010 Cleveland Indians recalled Aaron Laffey from Columbus Clippers. May 30, 2010 Cleveland Indians optioned Aaron Laffey to Columbus Clippers. July 8, 2009 Aaron Laffey roster status changed by Cleveland Indians. July 3, 2009 Akron Aeros sent LHP Aaron Laffey on a rehab assignment to Columbus Clippers. June 23, 2009 Aaron Laffey assigned to Akron Aeros from Cleveland Indians. June 18, 2009 Cleveland Indians sent LHP Aaron Laffey on a rehab assignment to Columbus Clippers. April 15, 2009 Cleveland Indians recalled LHP Aaron Laffey from Columbus Clippers.